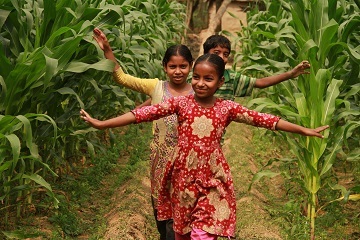 World Vision is committed to partnering with the people of Bangladesh to improve their lives today and to help deliver sustainable solutions for the future of their children, families and communities. Please pray for our work with the poorest children in Bangladesh. 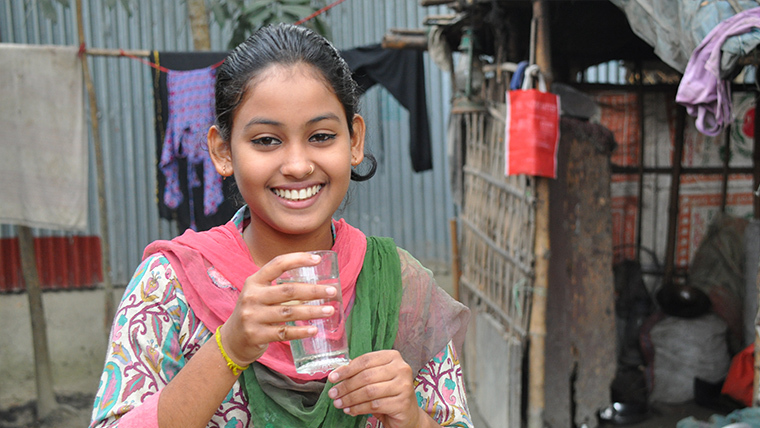 Rubi, 11, lives in Bangladesh with her grandmother, who she loves dearly. The two share a close bond. Grandmother, 70-year-old Jabela, has been the one constant person in Rubi’s life since she was a toddler. Jabela now begs door to door to earn a living so she can buy food, pay for school and afford healthcare for Rubi. Having lost both parents already, Rubi fears for her grandmother's safety when she leaves the house. Neighbours have noticed a difference in this once carefree and social little girl as she has had to take on more responsibility. There is one place where Rubi feels happy and carefree - at school. “I love to go to school, there I can play with my classmates, school is the only lovely place for me,” she says. Rubi lives everyday uncertain of what the future may hold for her, but she remains grateful for the things she has. Pray for Rubi as she cares for her grandmother Jabela. 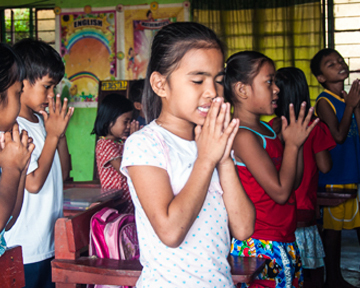 Pray that she will know more certainty in her future and that she would continue to enjoy school. Ask that God would give Rubi peace and courage in the days ahead and that He would bless and protect both her and her grandmother. Dulal is 13 years old and was seriously burnt in an accident between a van and a bus a few months ago. He was hospitalized and struggled to survive. He managed to pull through but he is still undergoing treatment and is in a lot of pain. His father is a rickshaw van puller and the family is very poor. Please pray for healing for Dulal. May he get well and know God’s comfort. Pray that his family’s financial situation improves so they are able to pay for Dulal’s good treatment and help him heal quickly. May God also provide food and basic needs for this vulnerable family. Hazera is suffering with a tumour on her right hand. Her parents have taken her to the doctor who has recommended that she has surgery. The family is poor and her father is a daily wage earner. Please pray that Hazera can get the medical help she needs so that she can be healed and get back to her normal life. Pray that God provides adequately for this family. Jui is 15 years old. She slipped one day while playing with her friends and broke her right elbow. Jui’s parents took her to the doctor immediately for medical attention and her elbow was put in a cast. After two months she went back to the doctor for a check-up and was told that the fracture had not healed and that they would have to operate on her. Her parents had to take out huge loans from neighbours and relatives to fund the surgery. Her father is a driver but he does not get regular work. They have no land on which to grow food or have farming animals. Jui has to rest and cannot attend school or write her exams. She and her parents ask for prayer for her recovery and healing. Mou is 17 years old and is suffering with malnutrition. She is often not able to attend school. Her father is a daily labourer and rickshaw puller. They live in a small house and have no cultivating land, poultry or cattle. Because of the family’s financial circumstances, Mou does not get sufficient nutritious food. Her father earns hardly any money and the little he gets is spend on rice, spices, oil and some vegetables. Their neighbours sometime help them with a little food. Mou needs medical treatment and good nutritious food to get better. She asks us to pray to the Almighty God to help her get stronger and recover. Please pray for healing for Mou and an improvement in the economic status of the family so they can afford nutritious food. Dewan is 15 years old and had been suffering with appendicitis for the last two years. Her parents could not afford to take her to the doctor. Her parents have worked hard to save some money and have also borrowed some from neighbours. This means they were able to take her to a clinic and the doctors successfully removed her appendix. Now Dewan is fully recovered and is attending school regularly. She and her parents are all really happy with this outcome. Dewan thanks the Almighty God that He helped her to get the necessary treatment that cured her.